Forget wearables. 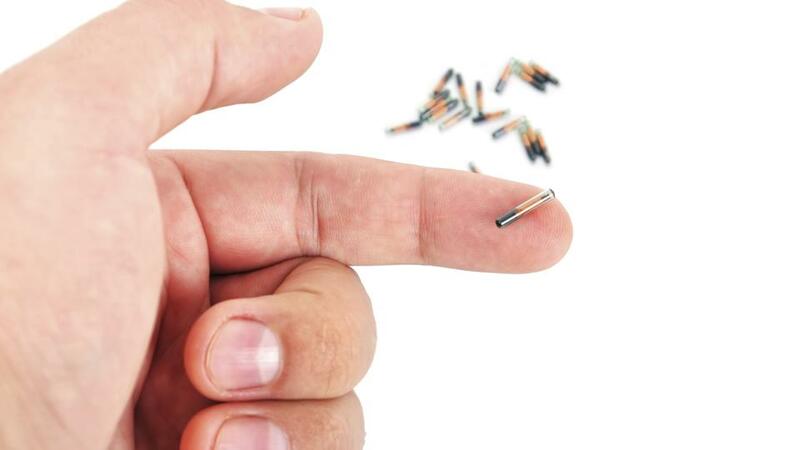 Implantables are really coming into their own, and soon they'll be coming into you, too. Take a look at what's happening and what's on the horizon for human-enhancing implantable tech. If you think employee drug tests are invasive, you definitely don’t want to work at Epicenter. This Swedish co-working space/startup facilitator has been digging a little deeper, implanting RFID chips into its workers and members to track their every move. OK, so the program is completely voluntary and has way more to do with convenience than security. Implantees can do things like open doors and charge things to expense accounts with a wave of their radio-wave-transmitting hand. The company doesn’t actually monitor them (as far as we know) but as one of the first larger-scale implementers of implant technology, Epicenter has been garnering all kinds of headlines. The cool factor of implantables is obvious…one might say it sits right on the surface. Something as simple and innocuous as a RFID chip can, with appropriate receivers in the environment, be used to do almost anything. Providing security clearance and automatically opening or unlocking doors (replacing key cards), paying for things (replacing credit cards), exchanging contact information (replacing business cards)—the card replacement possibilities are endless. Large retailers, warehouses, shippers, and distributors have been using RFID tags for years to track packages, and we’ve been microchipping pets for awhile, too. Now that the Internet of Things is truly upon us, though, there are more opportunities for microchip interaction while the cost and the size of implantable technology has dropped. A smarthome or smartoffice is just waiting for a smarthuman to complete the cycle, and that’s what implantables promise to deliver. Turn on lights by stroking your palm. Watch security footage in your store with an implanted retinal display. Get a tingle in your fingertips when the kids come sneaking home in the middle of the night. All of this is theoretically possible with tech in development right now, and that’s just some of what we know about. Defense experts are already debating the socio-ethical and psychological elements of weaponized implantables, so you can bet some military applications have been in development for at least a decade. Without the implant, it’d be tough to get it up for Gwyneth. Then there are the healthcare applications. Forget wearable wristbands that try to measure your heart rate and estimate a few other biometric markers. Companies like Axonics are making implantable devices that can read, suppress, and stimulate nerve impulses to treat incontinence—way more complicated and more urgent than a pacemaker. It’s easy to imagine (though I would guess harder to engineer) devices that can measure hormone levels in real time, detect the exact size and location of tumors, and provide a range of blood analysis test without any blood leaving the patients. With microtechnology and easy wireless communication, invasive diagnostics might disappear within our lifetime. As exciting as all of that is, there are of course some concerns. Like, privacy, security, and corporate espionage a la Johnny Mnemonic. The more you use implantable tech to interact with your environment, the more hackable you and your life become. For some things in the world of IoT, this is incidental; your networked washing machine is hackable whether you can control it with an implant or not. But for things like healthcare, or weaponized implants, the privacy of your information and the control you have over your body—literally, the degree to which you are capable of choosing which nerves fire and which muscles move—are really big deals with really big vulnerabilities. It’s true that RFID devices, especially implantables, have a very small transmission range. Unauthorized access to steal sensitive information won’t be especially easy, and in most cases, it wouldn’t be especially harmful or meaningful. But dig enough you can come up with dirt on anybody, and a chip that is capable of tracking your every move and reporting your every bodily function is going to make a prime target if you ever make the wrong enemy. My guess is that these concerns are largely overlooked, overwhelmed by the fervor of early adopters and the gradual acceptance of the less tech forward who don’t even understand the tech. Bible-thumping Luddites will decry it as the mark of the Beast and the end of civilization as we know it, and they might be half right. “A chip that is capable of tracking your every move and reporting your every bodily function” – this is NOT what the chips can do, or even will be able to do within the near future. Think about how large your Smartphone battery is and how you need to charge it daily – you certainly can’t run GPS for long without the battery dying. These chips are passive with no battery. Even if they had battery, they are the size of a grain of rice so they’re not going to be able to last for long!! Through interaction with RFID trackers in the environment, these chips CAN track and record your every move. In a world where much of what you do in public is captured on camera, it’s not too hard to imagine a near-future where every doorway and street intersection has a set of chip readers. As for reporting your every bodily function, no something the size of an RFID chip probably won’t be able to do that in the next decade or so. But a series of implants in key places with some carefully thought-out power sources (pacemakers last up to 12 years, and some say they could last even longer with better engineering)? Probably possible today, in theory.